Have you ever wanted to record real-time gameplay videos using Fraps while playing your favorite game and upload it to Youtube for for sharing with family and friends? However when trying that, there is a note saying YouTube doesn’t recognize these videos. Many people have such an experience. Quite puzzled, isn’t it? So, if your Fraps AVI files can’t be accepted by YouTube, it may probably be the video & audio codec problem. What’s more, AVI is usually too bigger than 10 minutes, it won’t be loaded. Well, how to upload these Fraps AVI files to YouTube? Actually, you can quickly and easily do this job as long as you convert & compress Fraps Video to YouTube accepted mp4 format. Here, Pavtube Fraps Video Converter is just the ideal Fraps Converter and Compressor. It can not only easily compress Fraps video into much smaller file size with almost no loss of video quality, but also convert Fraps video to MP4 for uploading Fraps to YouTube, importing Fraps to Windows Movie Maker, Pinnacle Stdio, playing Fraps video on media players, or to other popular formats like WMV, FLV, MOV, MKV, MPG, MOV, 3GP, AVCHD, VOB, RM, RMVB and more. In addition, If the file is too large to YouTube, this app also lets you split it for a smaller size. Click “Add Video” button to add Fraps video files to the Fraps video to MP4 Converter. It supports drag-drop and batch conversion, so you can import and convert several multimedia files at a time. Click the “Format” drop-down list to select “H.264 Video (*.mp4) ” from “Common Video” Category which is supported by many uploading websites like Youtube, Facebook and Vimeo. Click Edit button, you can realize editing fraps videos like trim video, crop video, rotate video; add subtitles/effects/watermark and more. 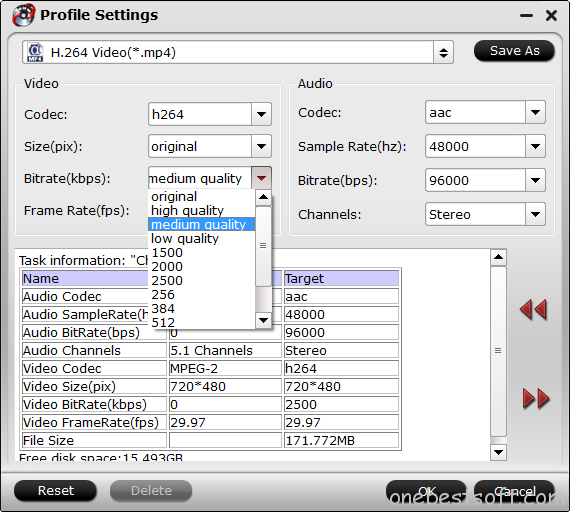 Just click “Settings” to manipulate video & audio parameters to set video Encoder,Frame Rate and Bit Rate. Click “Convert” button to start converting Fraps footage to Youtube compatable MP4 format, it will finished in few minutes with high output video quality. Now please try this Fraps to MP4 Converter, the program will transcode the Fraps video clips with top speed with the help of NVIDIA CUDA and AMD APP acceleration. Now you can upload Frpas recorded real-time gameplay videos to Youtube immediately. Tip: If you want a free and common Fraps video converter to achieve your conversion task, turn to this Top 5 Free Online AVI to MP4 Converter review, however, if you care much about the video output quality, conversion speed, Pavtube Video Converter Ultimate is your best soluion. Thanks for your like and read.